Happy Thanksgiving! In honor of today, I am going to list everything I am thankful for as far as writing goes. 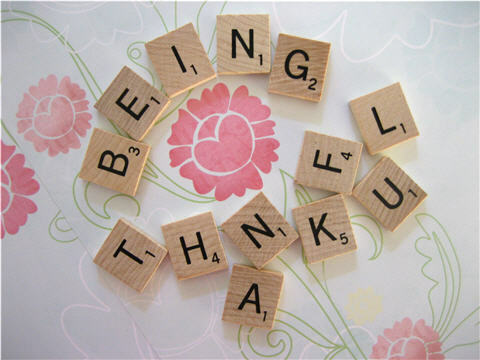 I’d love to hear what my fellow writers are thankful for, so please feel free to leave a comment so we can compare. 1. I am thankful for being able to recognize that my passion in life is writing. 2. I am thankful for my fellow writers. I have connected with so many wonderful authors that have given me critiques, offered me support and provided me with inspiration. I truly believe that a writer cannot become a great writer without the help of other writers. 3. I am thankful for agents. I do not have an agent as of yet (hopefully that will be changing soon) but I appreciate all of the work they do for authors. A good agent will help a writer gain recognition, cut a book deal and set the path for a great journey. 4. I am thankful for the internet. Sites such as Twitter, Facebook and WordPress have introduced me to talented individuals who I might have never had a chance to meet. 5. I am thankful for The Institute of Children’s Literature. The courses I took with the ICL educated me on the craft of writing and encouraged me to believe in myself and the stories I tell. I am also thankful for the two wonderful instructors Melissa Stewart and Kevin McColley who taught me how to show not tell, write with emotion, set up a manuscript and edit my work (plus so much more). 6. I am thankful for publishers. The publishers are the kings of the writing jungle. The publishers make the writers dreams become reality. I’m thankful that they believe in the written word and work hard every day to keep writers writing and readers reading. 7. I’m thankful for the people who love to read. Without the readers there would be no use for the writers. 8. 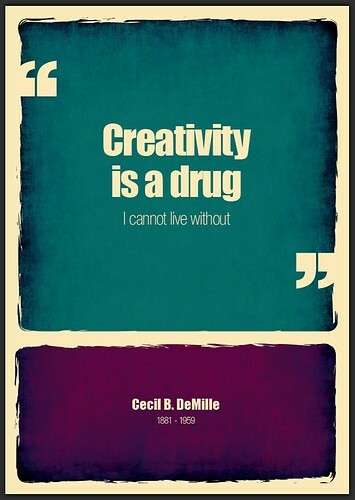 I am thankful for the gifts of creativity and imagination. 9. I am thankful for informative sites such as Query Tracker, Writer’s Digest, Guide to Literary Agents and any other site or blog that offers assistance to writers. 10. I am thankful for libraries and book stores. I’m sure there are a dozen more things that I can add but for now that concludes my list. Have a wonderful Thanksgiving. Eat, write, and be merry, for tomorrow your dreams may come true. Yesterday I spent time on my back porch looking out at my yard. The sight of my withering Weeping Willow saddened me. Winter is approaching and the green weepy leaves that I love so much are slowly but surely disappearing for the season. As I dwelled on the soon to be bare tree a realization occurred to me. I surround myself with the very things that inspire me to write. I won’t say I did this consciously because I really do not think I did. I have loved trees for as long as I could remember (Weeping Willows are my favorite). I can go on and on about trees and how you will probably find one in each of my stories (even if it is just a small mention) but I will get back to the point I’m trying to make. I believe that most if not all writers surround themselves with inspiration (whether conscious or not). After coming to my realization, I looked around my house (especially my writing room) and found many items that I have placed throughout my home that inspire me. Here is my list. 1. Trees- I know I already mentioned them, but I have to add them to my list. *Do not go where the path may lead, go instead where there is not path and leave a trail-Ralph Waldo Emerson (Love, Love, Love this quote). *Even if the voices aren’t real, They have some pretty good ideas (This one makes me smile. I think it’s a great quote for writers). 3. My writing diplomas. I have two diplomas from The Institute of Children’s Literature. Every time I look at the framed diplomas that hang upon my wall, I am reminded that I have taken steps to better myself and hopefully further my writing career. 5. Books: I was thrilled this year when my husband came home with a beautiful bookshelf. I am inspired for many different reasons by the books that line my shelves. A glance at them can push me to keep writing because I want to see my name on the cover of a book. I also can be inspired by lines in the books that other authors wrote. Most of all they inspire me to keep writing because I know that every one of the authors were once unknown. I’d love to hear what types of items surround you. Maybe something that inspires you will inspire me as well. Have you ever been in a situation where you catch another person looking you up (or down) from head to toe? Your first thought is probably something like “What is she (or he) looking at?” This is the exact thing a writer must do in order to create characters, develop scenes and incorporate details. Imagine if every book you read had only a plot? What if there was no character description, no setting imagery or no sounds mentioned? I think you would agree that most readers would find the book BORING. It is the incorporation of a writer’s observation that brings a book to life. A dark haired man is bland. A dark haired man with a receding hairline, beer gut and a tattered white t-shirt adorned with sweat soaked arm pits becomes interesting (or disgusting). A scene where a girl sits by herself on a bench in a park isn’t much of anything. Adding detail to the scene gives the reader a visual and helps bring them into the life the writer created. E.g. A teenage girl sits on a spray painted park bench under an oak tree and notices a large groups of kids huddled around the basketball court watching grown men play a game of hoops. The reader can now envision the setting because of the addition of minor details, such as the spray painted bench, the oak tree and the basketball game. If you are a writer think of yourself as a sponge. Everything around you should be soaked up. If you want to master the art of observing you must do the following. *Wherever you are take in the sounds. Practice closing your eyes and assimilate all that is audible. How many sounds throughout the day do you ignore because they have become too common? E.g. Birds chirping, horns beeping, sirens, dogs barking etc. *Watch the Activity. 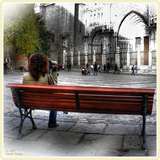 Try sitting in a highly active place (restaurant, park, casino, sports arena, concert, etc.) and write down what is happening around you. What is the waitress doing? Is there a child sliding down a slide for the first time? Are there groups of people listening to music in the parking lot prior to the concert they are anxiously waiting for? *Pay attention to emotions. Does the gambler look excited or frustrated? Weddings, funerals and sporting events are great for observing emotions. *Watch for mannerisms. Mannerisms as I have discussed in previous posts make characters relatable. Does the young waitress have a habit of licking her lips? Does the lead singer jump up and down before the start of a new song? Is the football player known for blessing himself before he leaves the huddle? *Don’t forget about nature. Nature is free art. Getting in touch with nature may sound corny to some but it is a must for a writer. *Watch the animals. Don’t ignore the birds that chirp on the telephone wire, dismiss the squirrels that scurry up the tree or fail to pay attention to the neighborhood cat. They all can add to a scene. *Make note of a person’s sense of style. Do they have a flair that begs to be imitated? Do they appear sloppy looking? Is their pants one size too small or two sizes too big? All of this can be used for character building. *Check out the atmosphere. Make it a point to scan your surroundings. If you are in a friend’s home look at their décor for inspiration. What unique things do they have that can add depth to a scene. Does your favorite restaurant have booths or tables covered in linen? Promise yourself that this week you will take time to really observe. Soak in your surroundings. But, remember that too much detail can be overkill and turn a reader off. Find a way to add your observations in a non obvious way. What observations have I missed that you think are important? Where do you like to go to observe?